Presented in partnership with ACLU-NH, Seacoast Outright, and Seacoast NH LGBT History Project to help kick off Portsmouth Pride Week. 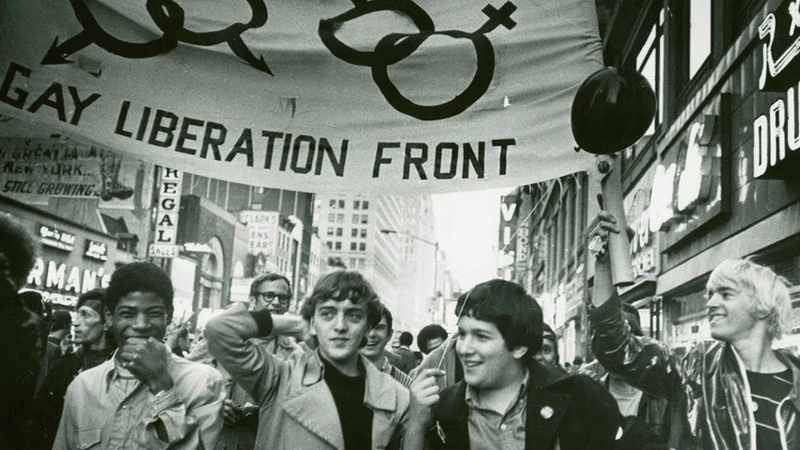 This documentary by Greta Schiller, newly restored for the 50th Anniversary of the Stonewall Riots, takes a look at the sometimes oblique American acknowledgment of homosexuals in the decades before a historical flashpoint in 1969. Late that year, the Stonewall Inn, a gay bar in Greenwich Village was stormed by police and its patrons arrested—resulting in two days of rioting. Allen Ginsberg and other celebrities talk about past police tactics, witch-hunts, censorship, and historical “cleansing” operations that violated human rights and civil liberties—such as routing gays and lesbians out of the State Department. A certain openness about sexual preferences started appearing in the 1920s and accelerated during World War II, eventually culminating in the organized movements of the 1960s and later demanding an end to discrimination. Older and younger generations of gays and lesbians present different viewpoints on a variety of topics, and conflicts or disagreements between gays and lesbians are outlined. The seriousness of the subject of discrimination is balanced with humor, which makes this documentary more accessible to straight audiences unfamiliar with the topic.